Home » Search » Psalms Alive! How do you connect with God? For three thousand years, God has been connecting with humankind through the prophetic prayer, praise and poetry of the biblical Psalms. Come follow David, the shepherd king, the man after Gods own heart, as we begin a journey to intimacy with God. Discover for yourself what a soul-bonding relationship with God looks like. 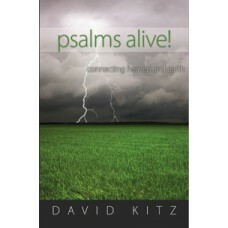 As never before, let the psalms come alive for you. Psalm's Alive! was inspired by years of the author performing dramatic readings of the Psalms. David still performs Psalms Alive! today.